Art Talk: It's a Blog Hop! 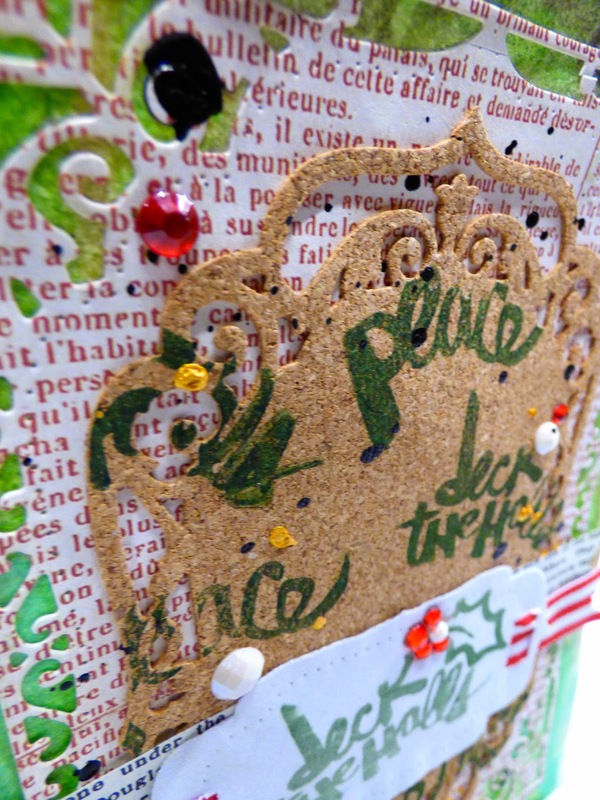 Spellbinders + Faber-Castell Design Memory Craft= Fa la la! It's a Blog Hop! 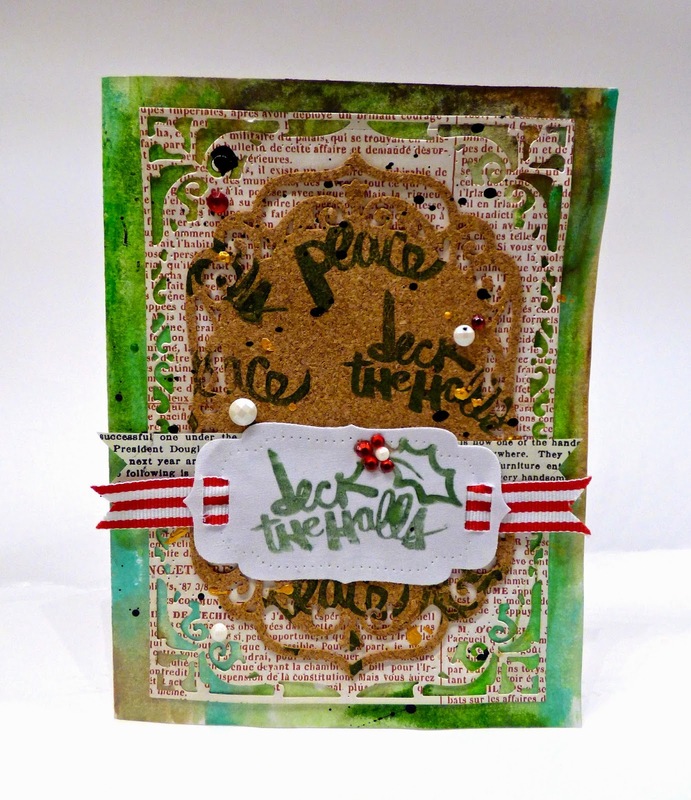 Spellbinders + Faber-Castell Design Memory Craft= Fa la la! I got the Spellbinders® Nestabilities® Card Creator Elegant Labels Four dies. They are not only pretty but layer beautifully to create gorgeous cards or projects! This holiday card was super easy to put together with the help of this set! 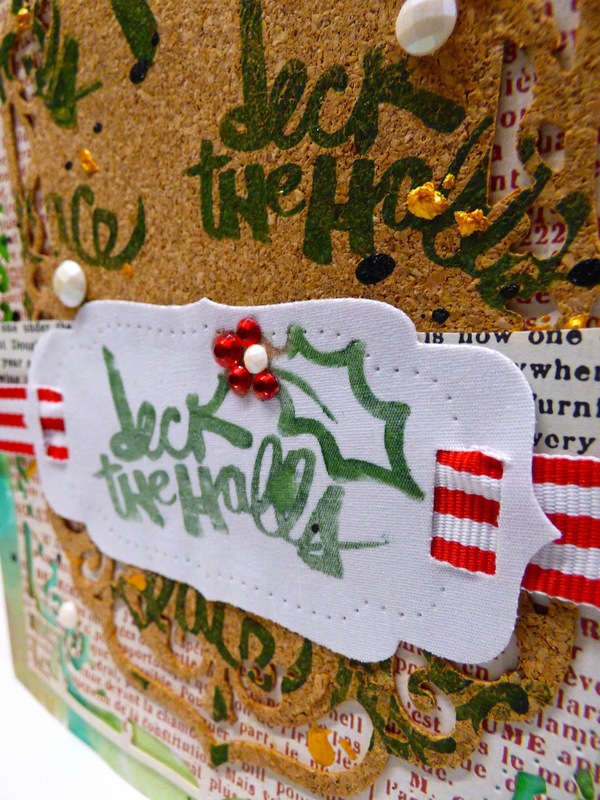 I used DCWV Adhesive fabric paper to make the tag on top and wove a fun holiday ribbon through the openings. So easy! Stamp a fun sentiment on it with some of Faber-Castell Design Memory Craft's Stamper's Big Brush pen and you top off the card with a gorgeous look! I also used Faber-Castell Design Memory Craft's Stampers Big Brush pen to stamp some of the word stamps on the cork. I used some text paper printed in red for the bottom die layer. Underneath it all, I used Faber-Castell Design Memory Craft Gelatos® colors in Metallic Mint, Lime Green, Green Tea, and Iced Chai. Don't forget to hop along with the other fun designers... Check out the Faber-Castell Design Memory Craft blog and Spellbinders blog! There are prizes involved! Leave me a comment here and I will pick a winner for a set of Steampunk Gelatos® color set on Monday, November 24th by midnight. Faber-Castell Design Memory Craft Stamper's Big Brush Pen in Chrome Green and Scarlet Red. Beautiful, Jen! Love your original Cards!! Such fab dimension. Love the tag and how you put the ribbon through it. Love the layers with spellbinders and the great scripty words.